Game Of Thrones has finally returned to our screens after a two year absence. The feverishly-anticipated eighth – and final – season of the hit HBO show will conclude the sprawling storyline in Westeros and reveal who will sit on the Iron Throne, something author George R. R. Martin hasn't managed in more than 23 years. If you're not completely up-to-date on the fantasy series, have never watched Game Of Thrones before (seriously, where have you been?! ), or fancy rewatching the show before the final season to make sure you understand all the family trees and history (what the hell is a Rhaella Targaryen anyway? ), there has never been a better time. 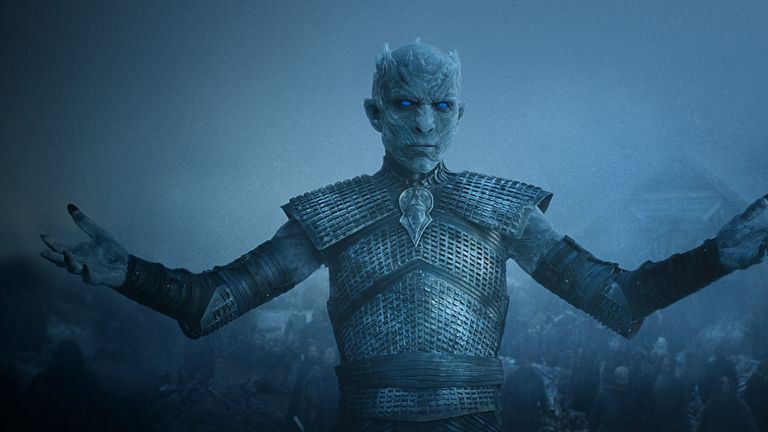 Sky Atlantic has the exclusive rights to air Game Of Thrones in the UK. Thankfully, those who aren't Sky Q subscribers can enjoy everything that airs on Sky Atlantic on Now TV, which is available to stream on more than 60 smart set-top boxes, smartphones, tablets, Smart TVs, and games consoles. The Sky-owned streaming service currently has all seven seasons of Game Of Thrones available to stream anytime. As new episodes from the eighth season air, these will also be available to re-watch and catch up at any time, too. Better yet, you can catch up on all seven seasons and watch all six episodes in the final season of the show for just £10. Not bad considering it costs HBO more than $10 million (£7.5m) to produce each episode of the show. That's because Now TV is currently a £10 special discount on a two month subscription to its Entertainment Pass to new and existing customers. This includes access to live and on-demand content from Sky Atlantic. Given that each episode airs weekly, Game Of Thrones season 8 will be done and dusted by May 20, 2019 you can activate the two-month Entertainment Pass (which typically costs £15.98 in subscription costs) anytime from now and finish the season. So what have you done? Gone and booked a holiday while Game of Thrones is being aired? Been unfortunately sent away on business this weekend? Or is this a gap year situation? Whichever bracket you fall into, you'll soon find that the Sky or Now stream is geo-blocked if you try to watch. ExpressVPN (comes with a 30 day money back guarantee) is the #1 rated best VPN in the world right now. You can watch on many devices at once including Smart TVs, Fire TV Stick, PC, Mac, iPhone, Android phone, iPads, tablets etc. Check out Express VPN and get 3 months free when you sign up for a year.